This Holistic Select Grain-Free Adult & Puppy Health Salmon, Anchovy & Sardine Meal Recipe is formulated with a unique Digestive Health Support System, including active probiotics, healthy fiber and digestive enzymes. When combined with the other high quality, natural ingredients, this recipe supports the absorption and utilization of vital nutrients throughout your dog’s entire body. Your dog will look and feel healthy from the inside out. This product has recently undergone a packaging and slight formulation change. Please refer to transition instructions when transitioning your pet to the new formula. Customers may receive the old formulation during this transition. Salmon, Anchovy and Sardine Meal, Potatoes, Peas, Menhaden Fish Meal, Dried Ground Potatoes, Canola Oil (preserved with Mixed Tocopherols), Dried Plain Beet Pulp, Pea Fiber, Flaxseed, Pumpkin, Natural Flavor, Cranberries, Apples, Brewers Dried Yeast, Salt, Papayas, Choline Chloride, Blueberries, Pomegranates, Vitamin E Supplement, Inulin, Dried Kelp, Zinc Proteinate, Mixed Tocopherols added to preserve freshness, Zinc Sulfate, Niacin, Ferrous Sulfate, Iron Proteinate, Vitamin A Supplement, Yucca Schidigera Extract, Ascorbic Acid (Vitamin C), Ground Cinnamon, Ground Fennel, Ground Peppermint, Copper Sulfate, Thiamine Mononitrate, Copper Proteinate, Manganese Proteinate, Manganese Sulfate, d-Calcium Pantothenate, Sodium Selenite, Dried Enterococcus faecium Fermentation Product, Pyridoxine Hydrochloride, Riboflavin, Vitamin D3 Supplement, Biotin, Dried Lactobacillus bulgaricus Fermentation Product, Dried Enterococcus thermophilus Fermentation Product, Calcium Iodate, Vitamin B12 Supplement, Folic Acid, Dried Bacillus licheniformis Fermentation Product, Dried Bacillus subtilis Fermentation Product, Dried Aspergillus oryzae Fermentation Product, Dried Trichoderma reesei Fermentation Product, Dried Rhizopus oryzae Fermentation Product, Dried Lactobacillus acidophilus Fermentation Product, Dried Lactobacillus casei Fermentation Product, Rosemary Extract, Green Tea Extract, Spearmint Extract. Standard measuring cup holds approximately 4.4 oz of Holistic Select Grain Free Salmon and Anchovy & Sardine Meal Recipe. Dogs over 110 lbs: Add approximately 1/3 cup for every 10 lbs over 110 lbs. For Pregnant or Nursing Dogs: When pregnant, feed up to 50% more food according to body weight at 1 year old. For nursing dogs, food intake may double or even quadruple during this time. For Puppies: After weaning, puppies should be fed 2 - 3 times per day. Growing puppies require up to twice as much as Adult dogs of the same weight. Combination Feeding: If feeding with wet food, reduce dry amount by 1/3 cup for every 6.5 oz of wet food. Feed multiple, smaller volume meals. This will decrease the likelihood of over-consumption and provide for a more consistent, firm stool. This is an especially good option for puppies and senior dogs. Add clean warm water to the food to help soften it. Holistic Select strongly believes in their philosophy that total body health begins with digestive health. 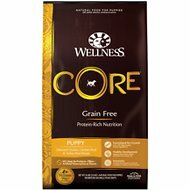 Their grain-free dog food recipes combine their Unique Digestive Health Support System (with pre- and probiotics, natural fiber, digestive enzymes and botanicals) with healthy, natural ingredients and leaves out grains to improve overall digestibility for food-sensitive pets. 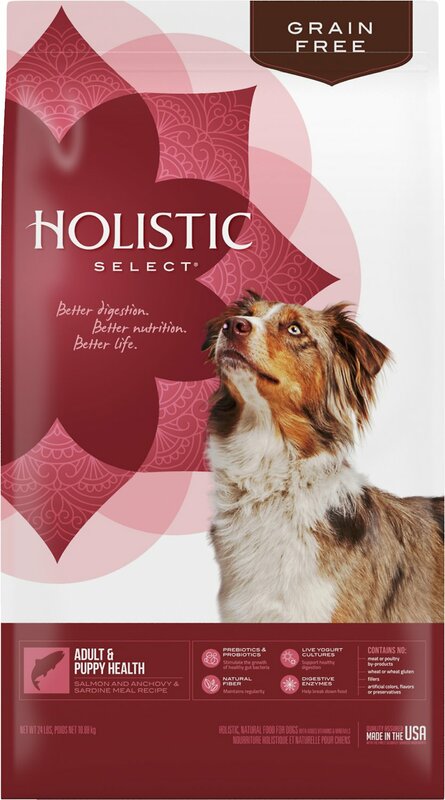 Holistic Select is the only natural pet food that offers a complete digestive health support system to help pets absorb and utilize nutrients in the food. 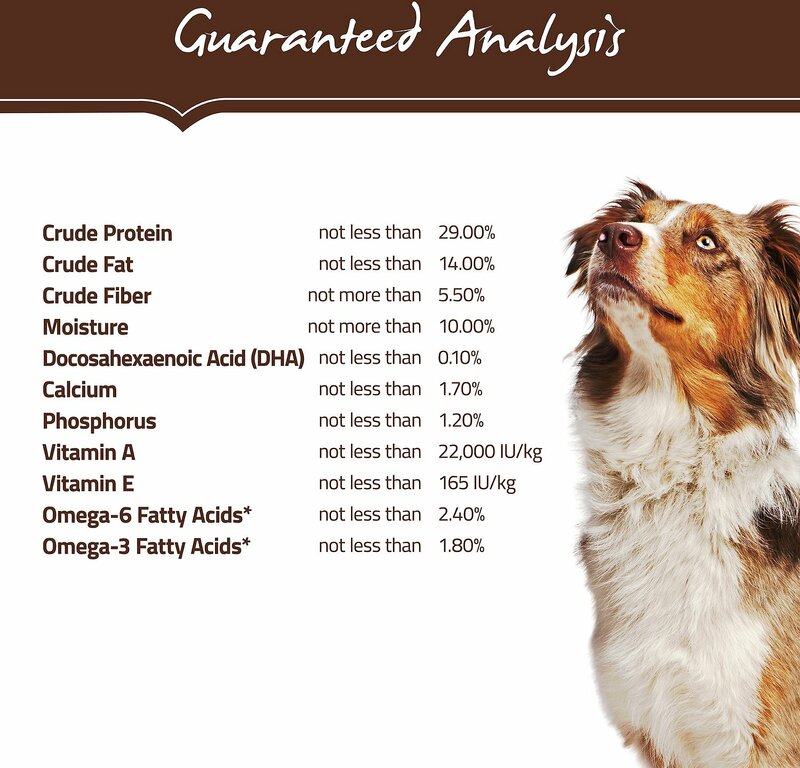 All of their dry dog food recipes start with concentrated premium proteins and include select active ingredients that work together to optimize nutrient absorption for your dog's whole body health and vitality. 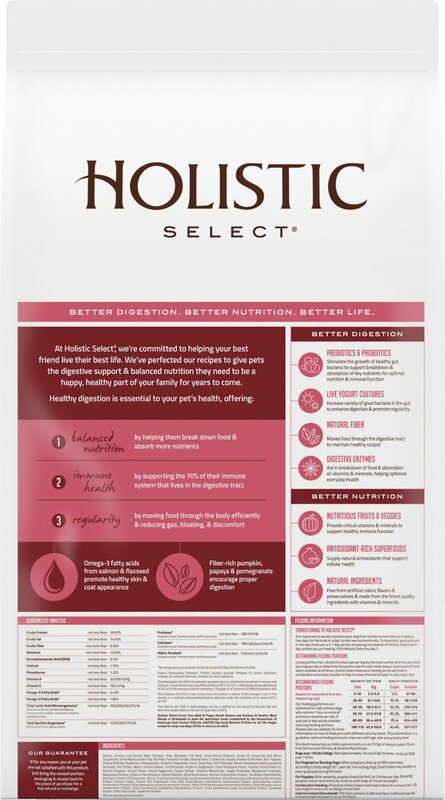 Holistic Select's Unique Digestive Health Support System delivers digestive enzymes and botanicals to aid digestion and natural fiber to help move waste from the digestive tract through the colon. Prebiotics and probiotics are also included to stimulate the growth of healthy bacteria in the gut, increase nutrient absorption and prevent free radicals from entering the bloodstream. 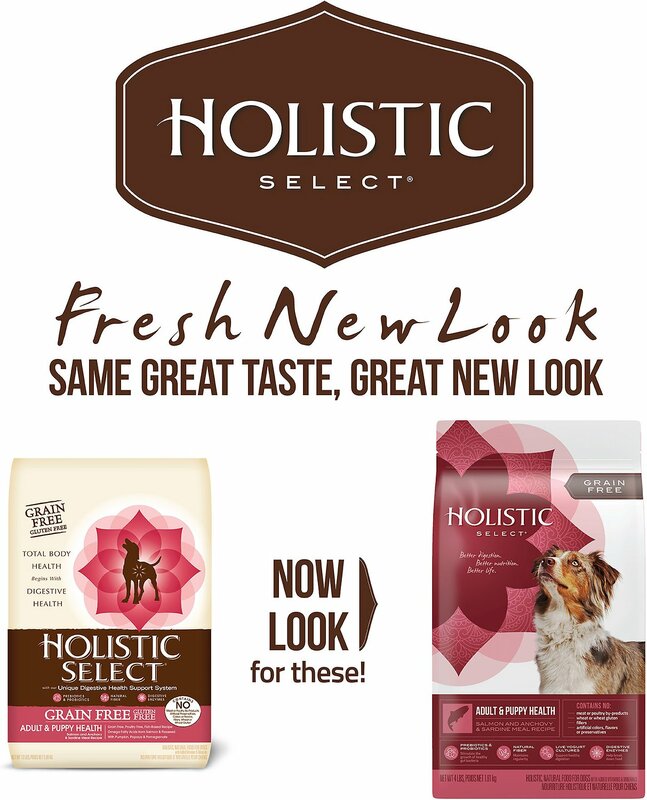 Holistic Select recipes never contain wheat, artificial colors, flavors or preservatives. Natural source of dietary fiber as well as vitamin A, beta-carotene and potassium, which support healthy immune function and help tone and calm an upset stomach. Excellent source of vitamin C and a natural source of tannins, which help prevent harmful bacteria from thriving in the urinary tract. High in vitamins A, C and E and source of the enzyme papain, which supports digestion of protein and maintains a healthy intestinal tract. Excellent insoluble fiber source that supports healthy digestion, and the prebiotic fiber stimulates the growth of the favorable gut bacteria (probiotics). Rich in Omega-3 fatty acids which improve the shine of the pet's coat and high in fiber which helps move food through the digestive system. A digestive botanical that is recognized to support a calm and balanced digestive tract and provides anti-fungal and anti-inflammatory properties. 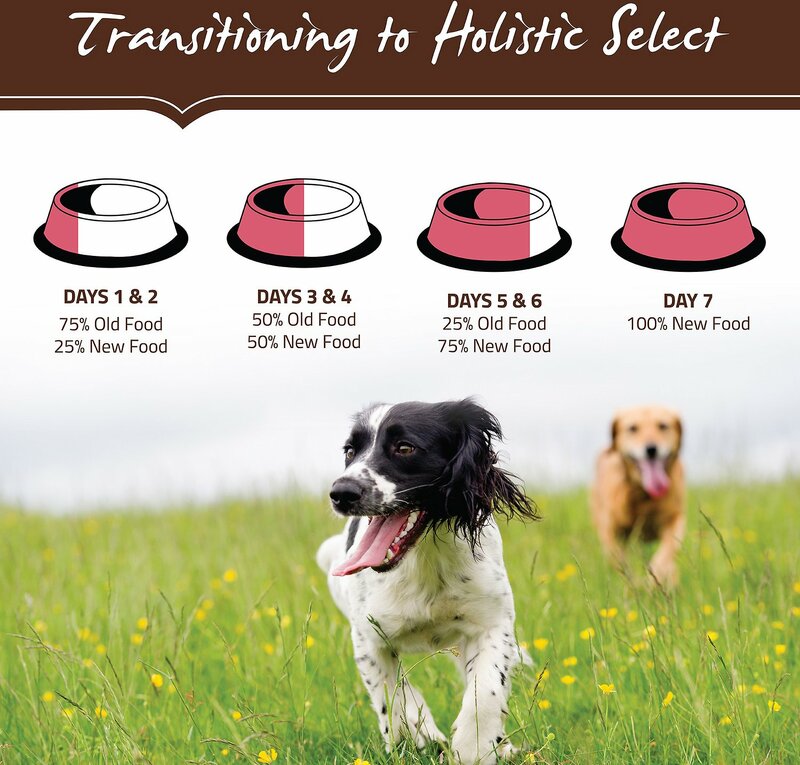 For over 10 years, Holistic Select has been creating natural, healthy pet food for dogs and cats. Their commitment to natural nutrition, quality and digestive heath guides the creation of all their recipes. By combining their Unique Digestive Health Support ingredients with delicious fruits, vegetables, proteins and omega fatty acids, Holistic Select foods can help your pet achieve whole body health. It took nearly a month for my Dog's guts to adjust to this food and I am now satisfied with the consistency of their stools. They like the flavor and there is no hesitation now when I set their food bowls down. However, I've noticed a weight gain with both Dog's. They were lean before and they are not overweight although I will keep a watch on this because the weight gain was sudden. That's the reason for 4 stars. Anyone who reads this that noticed a weight gain, please let me know. 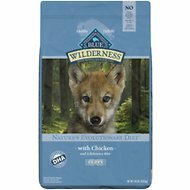 I purchased this food for my Australian Shepard puppy that had an allergy to chicken. It was extremely difficult to find a good product that did not have chicken or chicken byproducts in it. After reading the reviews I chose Holistic. The puppy loves this food and our 13 year old golden border mix does too! My miniature schnauzer was on the Royal Canine for Schnauzer brand and began to have serious skin and ear issues. Since switching him to Holistic his skin and ears have been healthy and well. The food does smell bad but he loves it and no more allergies. Layla was malnourished and undersized when she came to us @ ten weeks old. She had worms, a UTI and to top it off kennel cough. We were giving her another brand of food with enhancements while getting her back on her paws. I decided on this food because it is grain free and because of the reviews right here on Chewy. She loves it and it shows. Coat and color is gorgeous. Her health, energy and activity levels are where I believe they should be. Most importantly she's a happy girl! So convenient and reliable quick delivery. Bonus these days is the product delivered was correct and in good condition. This was recommended for our Japanese Chin. They seem to like it. Both dogs love this food, and the one with a sensitive stomach does fine with it. I like that it has lots of things for digestive health. My 2 dogs are transitioning to their new kibble and canned. So far so good. Great food for allergic pup! Our pup isn't a picky eater, we we're just trying different food to determine if there was something that create less waste for him. So far it's done just that and he has no negative side effects as a result of changing to this food.